World Series of Poker Executive Director Ty Stewart came to the Rio on Day 2 of the Millionaire Maker in a white suit and polka-dotted socks. He’s quite the tall man, and the look was one that exuded a bit of pride, a little “look at me now,” if you will. After such a successful opening day to the 2014 Millionaire Maker tournament, it was hard to blame him for the swagger. He spoke to CardsChat about the success that was the tournament, but didn’t hesitate to own up to the errors in planning, such as the lack of tables that led to waves of players having to wait quite a long time to take their tournament seats. As for next year, Stewart makes clear that his goals are still in the making, but the WSOP won’t likely get carried away. However, he is fully open to exploring more poker tables in general, ones that could be placed in various places in the Rio casino, as well as at other Caesars venues. 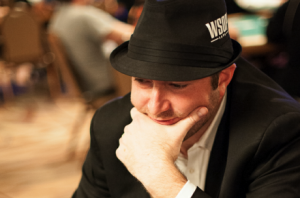 A multi-venue poker tournament for the 2015 WSOP is certainly on the table. CardsChat: Last year was the first year for the Millionaire Maker tournament. What made you decide to do it again but with a big guarantee? It’s not really the WSOP’s style. Ty Stewart: You’re right; it’s not. Our customers really, really like money. I had noted it had worked in some other settings and always feel that if something is resonating with poker players, we should probably be able to do it better than anybody else. The only thing cooler than a nice, seven-figure prize pool guarantee, is a seven-figure first prize guarantee, which of course I had never seen before. It’s been important to me ever since I started with the World Series of Poker that we get off with a bang and get as many poker players here and in action as we possibly we can, particularly the sort of recreational players that are new to the game. We have already a natural window with the Main Event, but I come from the NFL. Having a big season kickoff was something that was always important to me. We’ve had some successes, like the Stimulus Special, but this was – to me – a natural. CardsChat: What kind of feedback did you receive from last year’s event? Stewart: It was great. We weren’t quite sure what to make of this year’s turnout. We have some other events that might have been fighting for that one-trip justification, as a lot of people are excited about the upcoming Monster Stack tournament. And we hope that the Main Event – the Ten-Million Maker – is something that people are looking toward, maybe using their bankroll for live satellites and other things going on. So could our Millionaire Maker possibly be as big as last year? I was maybe even betting slightly under last year’s number, and it wouldn’t have made me upset at all. I was pretty humbled and awed with this year’s event. 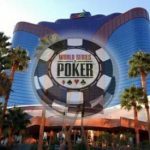 CardsChat: At what point on Day 1 did you think that you were definitely going to surpass last year’s number? Stewart: By the time we got cards in the air, we were so far ahead of our pace for the 1A session of 2013 that it seemed like it was a formality. The players were here, and that was an amazing thing. Without getting too cheesy, it’s been a tough time for everybody in poker the last few years. I felt like we had the opportunity at the World Series of Poker to be that platform that stands out and provides a sense of swagger. You see a lot of tweets from people taking great pride collectively that we are this relevant and strong. So, it makes me very proud that the numbers are what they are, and that we can essentially fill a basketball arena of poker players. CardsChat: Were you just a bit disappointed that you came so close to 8,000 players? Stewart: More than a bit! CardsChat: Did you consider backing some players? Stewart: We were considering a lot of crazy things. (laughs) It gives us something to shoot for next year. But the number for one day of poker really is obscene. Honestly, now if I have to bet, I think next year will be bigger because I think people like the Milly Maker brand. Branding is underappreciated in poker, but more than that, I think people have seen that the players are coming. A lot of people are taking their only shot of the year, and others are trying poker for the first time with a tournament like this. That’s pretty cool to be a part of. A few years ago, that might’ve been the reputation for the Main Event, but this is where the market is today, more at the mid-stakes level. So we’ve embraced that by having a great event that hopefully exposes people to a great game and a real fun time with tournament poker. Our goal is to get as many of them back for other events and for the Main Event in July. 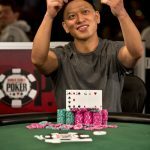 CardsChat: Did people qualify on WSOP.com for the Millionaire Maker? Stewart: Only a handful, maybe two seats. We’re doing a guarantee online every single day for the next day’s event, and I think we guaranteed one seat for the Milly Maker and got two. 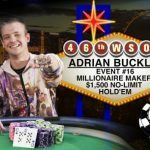 It’s a success, but you can’t yet point to WSOP.com having anything to do with the turnout for the event. There are a lot of other things to point to. The buzz is good. Vegas is back. The economy seems to be coming back. And people embraced the big kickoff at the World Series of Poker, as well as a different type of experience. Poker felt big again yesterday. CardsChat: Your excitement was palpable on Twitter. Stewart: Sure! I’m excited for us and our company, and I really feel like my job is to be a cheerleader for the industry. I come from a sports background, and it’s always been sort of a collective. I feel like the World Series of Poker is a bit of a public trust, and we happen to be the ones managing it right now. And we’re supposed to do something else no one else could do, which is what the Millionaire Maker was this year. Overall, I was very proud. CardsChat: What glitches did you encounter with the large turnout? Stewart: There were glitches all day long. When you have that many folks in the tournament rooms, you’re going to have service challenges. First and foremost, without trying to snow you, every single person that wanted to play in the event got in and played, which is pretty crazy. We’re not happy with things like the late waves and moving those waves. There were folks who wanted to play at 5:00pm and got moved to a 7:30pm start, which meant that they were playing more advanced in the structure than others. That’s not ideal. We will need to expand tables. I can tell you right now that we will absolutely expand tables for this event next year. We just discussed in a management meeting this morning that we have the potential for a multi-venue event, using Caesars Palace, Planet Hollywood, or whatever the case may be as long as we’re completely prepared for that. We can also use Masquerade Village and other space on the main Rio gaming floor that could be converted as well. We have only 500-ish tables, and we readily admit that for something special like the Millionaire Maker, we need more. We take our Deep Stack customers seriously, and there were some people who didn’t get the message that we pushed our 3:00pm start back until 6:00pm and then again until 8:00pm. I think it’s amazing that there were several hundred players in that Deep Stack that eventually got to play, but it wasn’t seamless from a communications standpoint. A lot of people may think that’s just Caesars trying to squeeze every nickel, but if we’re going to build something for everyone, we need to be able to execute and offer what everyone is coming for. We take all negative feedback seriously, but overall, we had a positive social media reaction to the Milly Maker. We had more cashier cages than we’ve ever had before, we had more staff. Some people were even giving us kudos that the lines were three times as fast as last year. At some parts of Day 1, even with 8,000 entries, it felt very calm here. We’re happy, but we’re not gloating. We can do better next year, and we will. 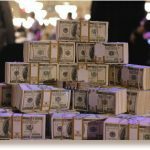 CardsChat: Are you thinking about an ever larger guarantee next year? Stewart: I guess we could, though I don’t know that that’s the lever. A lot of people have suggested that we make it a $1K to attract even more new players. I don’t know. I will absolutely digest any new ideas, but this is my baby. Last year, no one wanted to do it because they thought players might perceive a dilution in their equity, that payouts would be adjusted to compensate for the first place guaranteed prize, and that the whole idea would hurt a traditionally strong event. I fought like mad that this was THE idea, and I thought this was where we needed to be. That’s proven to be the case. Some people have suggested we do this more often, maybe every weekend, but we have a tendency to try to do too much of a good thing. I think this Millionaire Maker is too special, and it should be a bookend as it is with the Main Event to culminate the Series. CardsChat: So talk a little about that Main Event guarantee. Stewart: The Ten-Million Maker, yes. I can’t guarantee that the turnout will be as significant as we’ve seen, but the general strategy is similar. There’s a lot of talk value about an eight-figure payout, and I’m cautiously but firmly optimistic that we’re going to see a great Main Event. We’re still proud of the numbers, but we’ve had a few years of modest declines, and that’s a trend that needs to reverse. We wanted to do something about it, and I think it’s going to be a really strong Main Event this year.